21 Oct 2012: I've made a start with re-fronting the Surya Sunbox with the ETFE panels donated by Holscot. First I had to go up the scaffolding and record the various hinge and frame details so that I wouldnt have to keep yo-yoing up and down the scaffolding to try and remember how the new frame should be cut at the junctions. 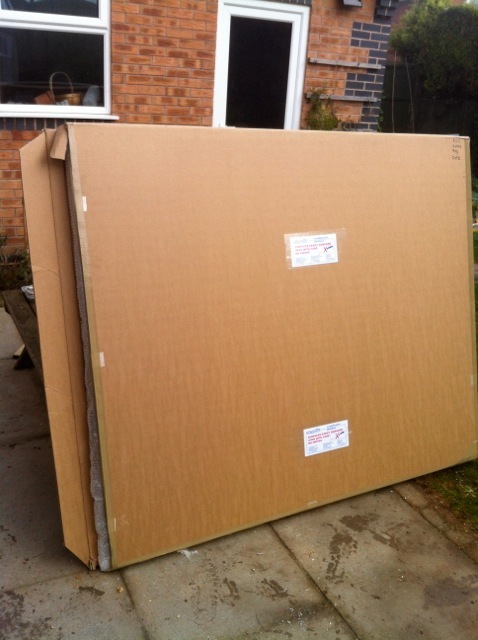 The two ETFE frames are in stout cardboard packaging, with stern warnings to be careful if using a knife to open the box. 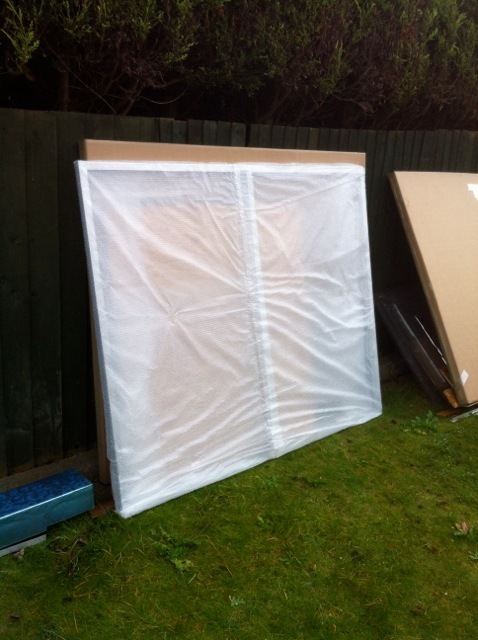 One of the frames emerging, with its inner packaging of Bubblewrap. I am terrified of puncturing the ETFE. 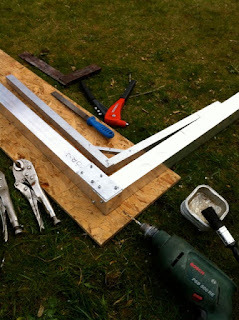 Turns out that the aluminium frame within is welded at the junctions, giving me more confidence in its strength and squareness. 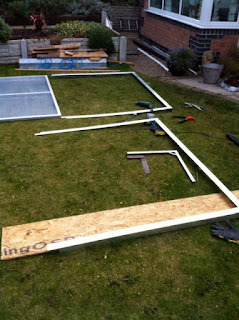 First Cut of the outer enclosing frame. 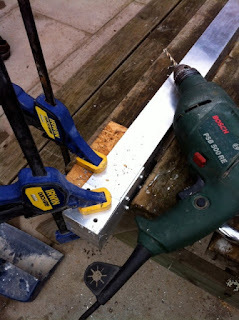 I cannot drill the ETFE frames, I have to make a wrap around frame that holds them with metal tabs. 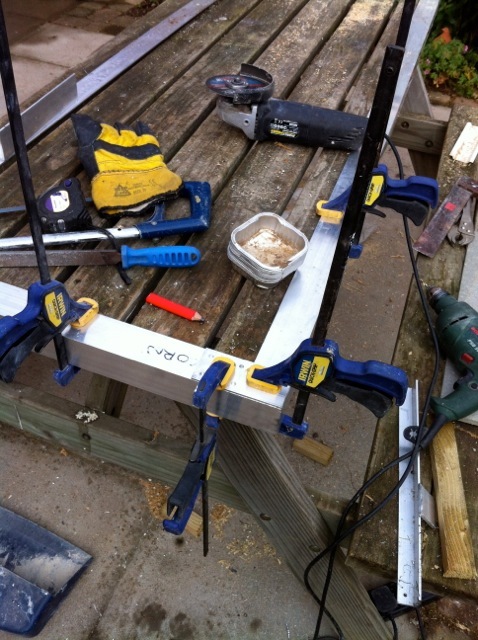 Getting the corner true and square seems to need a lot of clamps. 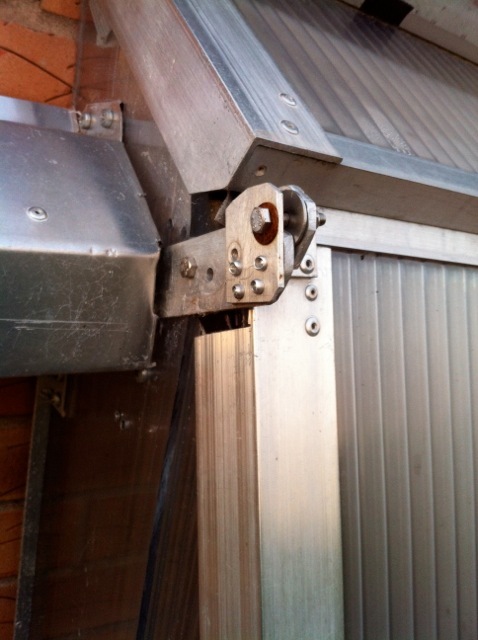 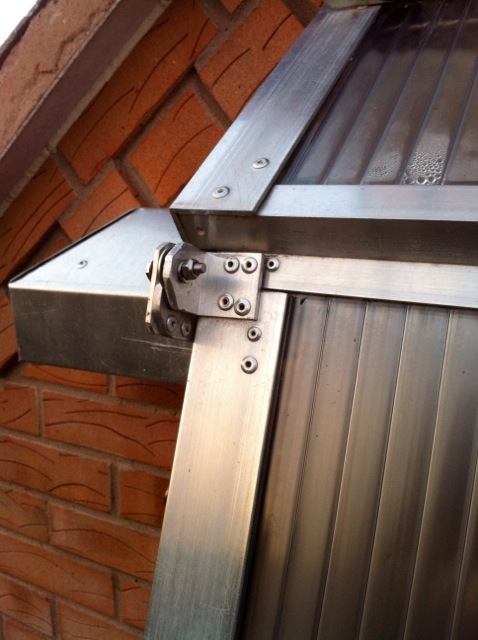 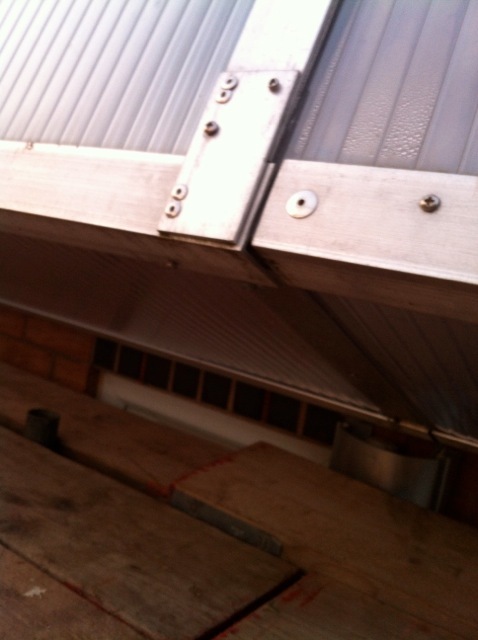 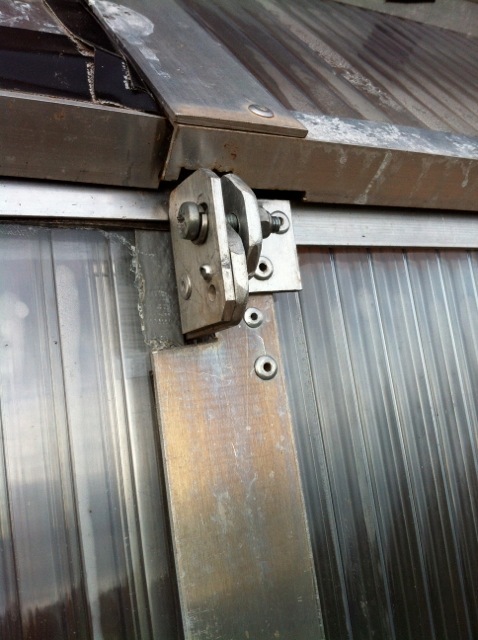 All the rivets will point outwards so that the ETFE frame fits snugly within. 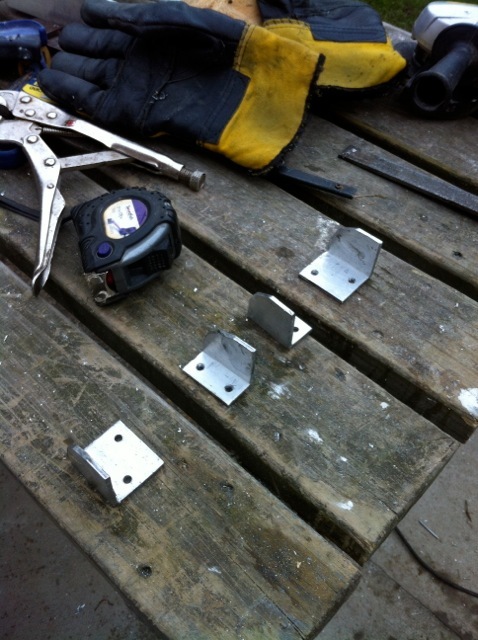 I have a lot of rivets, there is no point in economising on them. The frame doesnt have to be totally stiff at the corners because it is non structural. I want it to be reasonably airtight as it wraps around. Two part frames set up on the lawn, ready to rivet the corners. 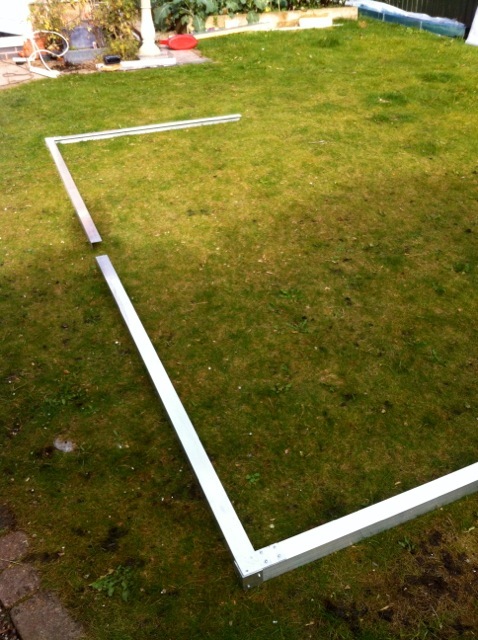 The inside line of the frame is a 50x3mm flat. The catfood trays hold water and the paint brush is a way of keeping the drill head cool - elongates the cutting life of the drill head. 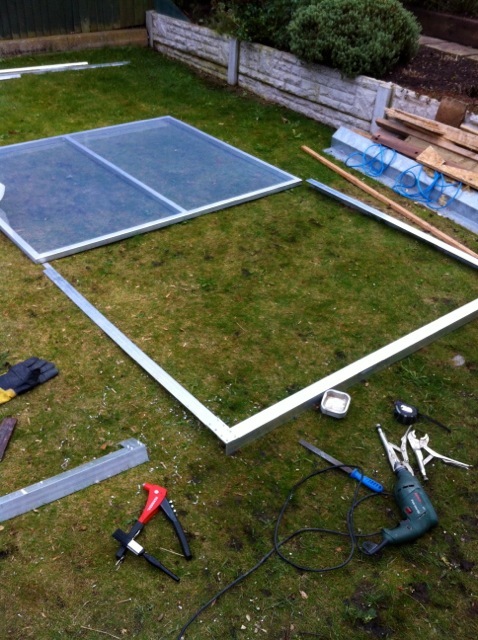 First attempt to see if the frame sits around the ETFE. 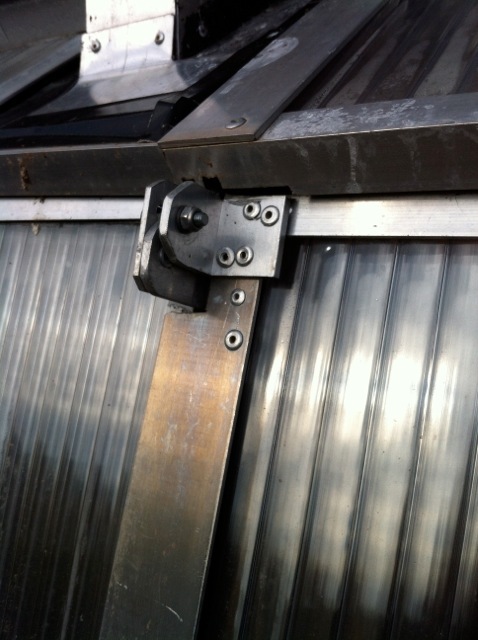 I am slightly surprised that the ETFE is not optically transparent, but I am assured that it is transparent to solar thermal energy. 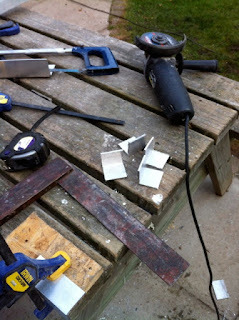 It's time to commit myself by riveting down the corner, using a large square to make sure the angle is 90º. 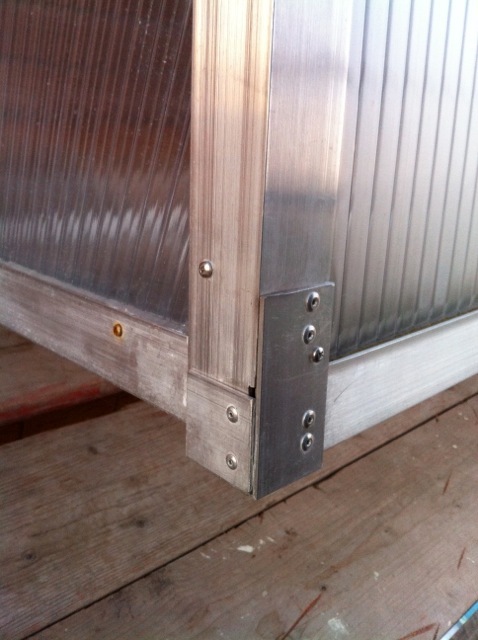 All corners riveted now. I'm not sure that a cross piece along the top will be needed, I have to leave that decision until the frames are on the scaffolding. 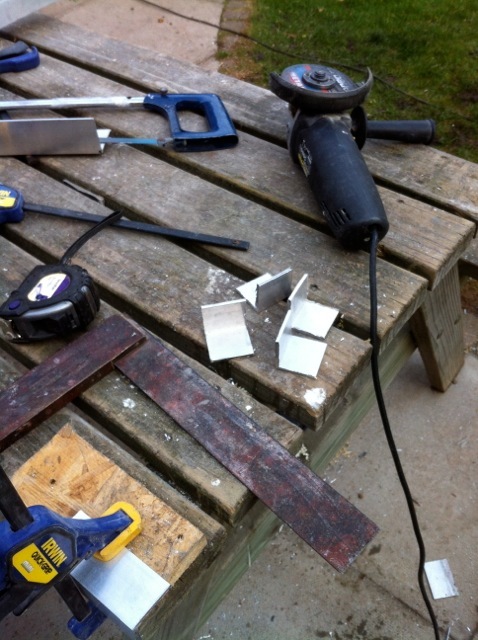 The front panels have to be hinged, so these are cut from 40x40x3mm angle. 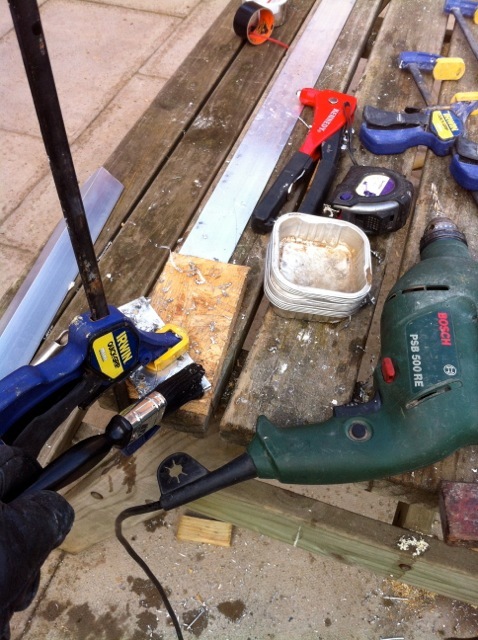 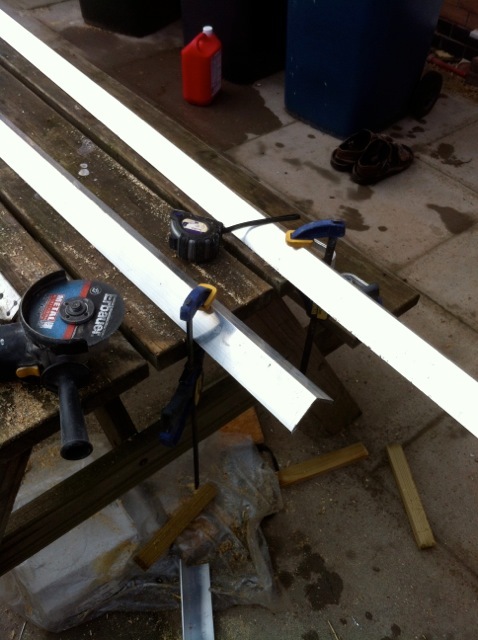 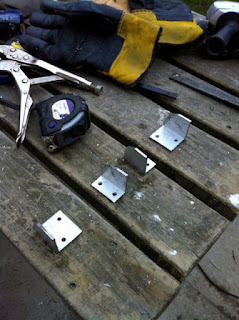 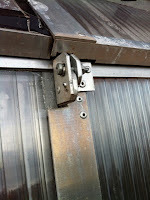 Hinges are now drilled and shaped, but the hinging hole will not be drilled until the frames are up on the scaffolding.